A mid weight mock neck sweat, in a cotton French rib. The fabric features a softly brushed surface for ultimate comfort and warmth. Simple and straight to the point, the breathable cotton fabric is an ideal transeasonal weight and makes layering easy. 100% Cotton – French rib. Signature pointer dog chest embroidery. 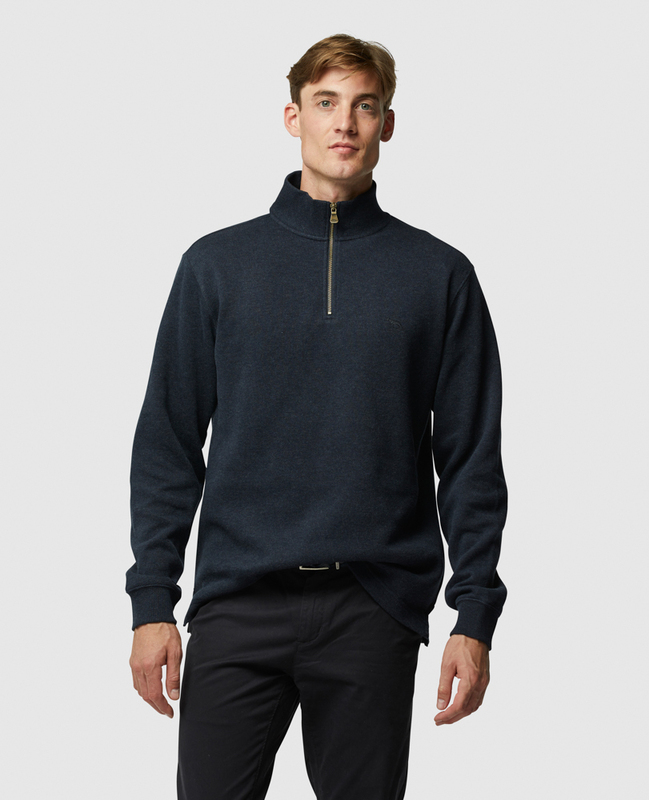 Quarter zip opening with premium YKK metal zip.